Attach a tennis ball on either end of a rope for your dog to enjoy! Drill a hole all the way through two tennis balls. 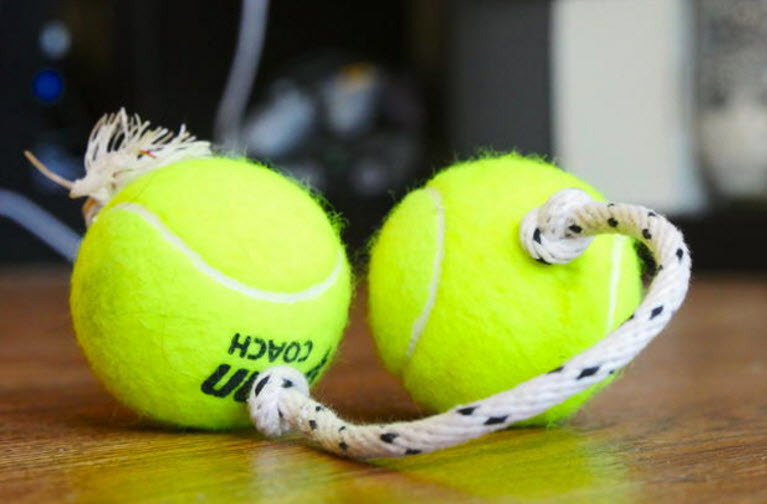 Thread a piece of rope through one tennis ball, then knot the rope on either side of the ball. Thread the second tennis ball onto the other end of the rope and knot it in place.